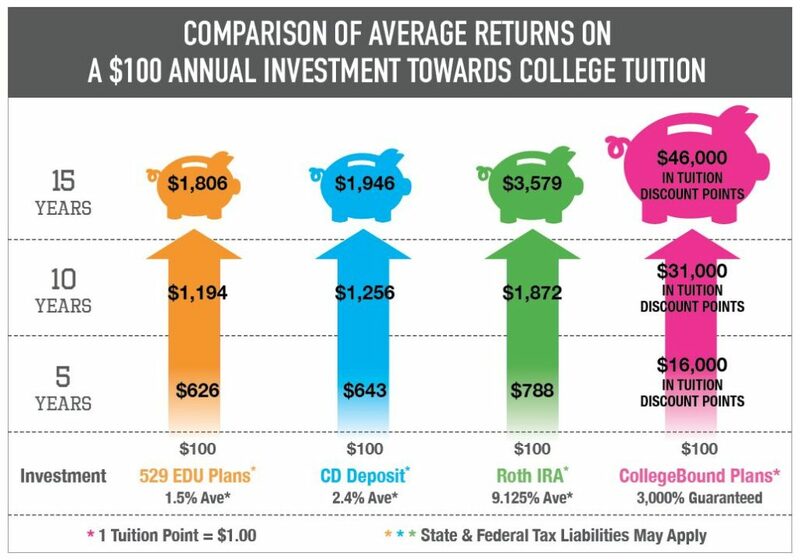 The $100 CollegeBound Plan$ is a Collection of Services Designed to Help Kids and Families Prepare for College, Both Academically and Financially. 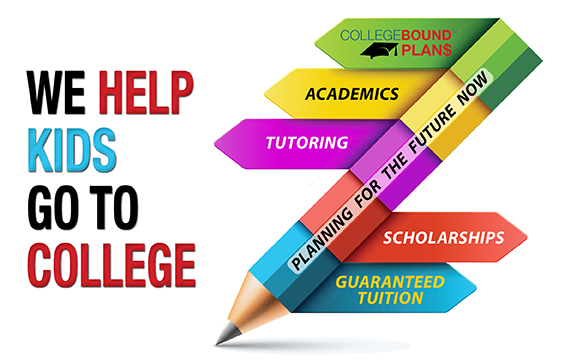 The annual CollegeBound Plans membership allows parents to “Opt-In” for Guaranteed College Tuition Discounts and will guarantee families and their child $3,000 in tuition discounts (A type of Merit Award) to 400 of the best private colleges in the country for each year of their CollegeBound Plans membership. Seventeen years of continued membership would net $51,000 in guaranteed tuition up to 25% of the total four year cost of their college tuition. The only requirement is that the student MUST qualify for acceptance to the college – This is where our member academic subscription bundle comes into play. *Note – Unused tuition credits can be shared or transferred to any other family member. The membership savings program is $100.00 for one year. The services are targeted at families with one or more children age 1-17 who want the most affordable college education and financial opportunities. The earlier they start in this program, the more they can accrue in tuition benefits – up to $51,000 or 25% of their total college tuition expenses! step, adopted or God children of the member and the group’s employees. was reserved for the financial elite in the banking, investing and luxury auto industries. top private colleges in the country! Contact us now to see if YOU are eligible for this scholarship!